Andrea's Random Lil' Blog: The Chuu-chuu necklace! Happy New Year! My 1st post for 2009! Holidays have been hectic, as they are supposed (and expected) to be, and I did not have much time for posting or making necklaces. But I will re-start today, and hope to make much more nice things in 2009! Today's necklace was more or less based on my previous Mori. I almost called it Mori 2, but then I looked at the focal bead and it was so cute that I changed my mind immediately. 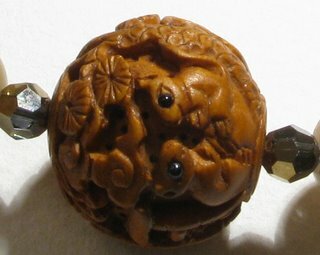 It is an Ojime bead in box wood, with little mice and leaves carved in. I even thought I might call it Mori no Nezumi (Forest Mice), but then again, I thought it might require a cuter name. Then I came up with Chuu-chuu. "Chuu-chuu" is the Japanese onomatopoeic word for the sound mice make (which I think of as being "kee-kee"!). 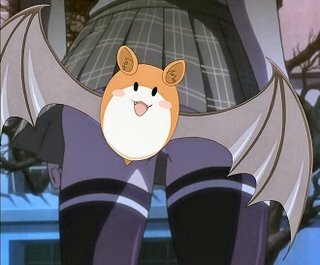 Also, it has to do with the little bat in the animated series "Rosario + Vampire", who always makes that squeaky sound at the end of the episodes or, well... Whenever he wants to, really! The main piece here is the central box wood Ojime bead, which is hand carved and inspired by the ancient Japanese ojime beads - which were mostly made of ivory years ago (long before the ban). These beads are intended to work along with netsuke and inro boxes, as a way to hang items to the kimono sash (or obi). The inro boxes are the equivalent of mini-pouches/pochettes, where you would carry cosmetics, tobacco, money etc. They would hang from silk braids attached to the obi or obijime. The Ojime beads would help to keep the silk braid intact, so it would not frail. The netsuke, in the other hand, would close off the end of the silk cord. It is indeed very detailed and intricate, measuring no more than 1 inch. The eyes of the little mice have tiny beads embedded, as you can see here, very lovely. - One focal Ojime bead as I babled about before! 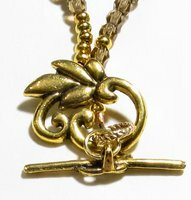 - Some few gold-plated round small spacers and antique gold toggle clasp in a lovely flowery (leafy?) shape. On the 1st picture, a close-up of the clasp I used and some of the gold-plated spacers. 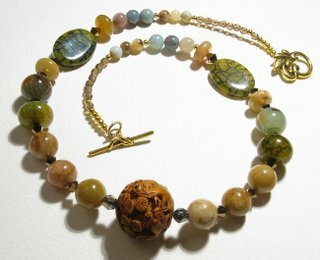 In the centre, you can see one of the oval dragon vein beads, a small jade rondelle, the green-stripe agate and part of a dragon vein rondelle. 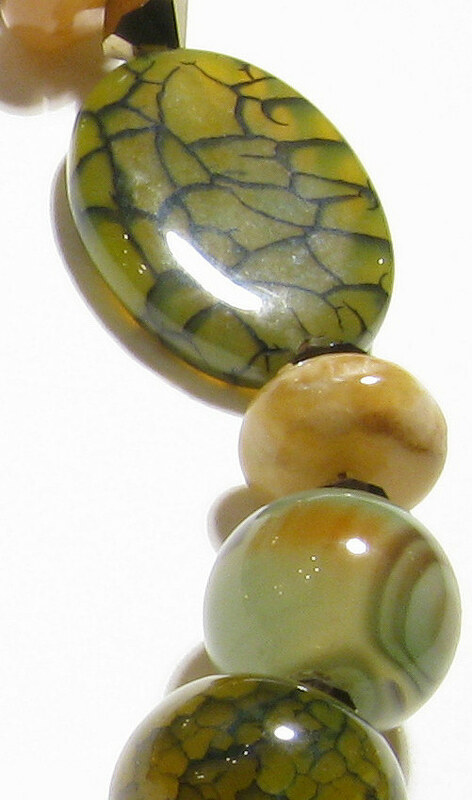 On the 3rd picture, a detail of the lovely Amazonite beads, in shades of blue, green, yellow, beige. All very earthy. 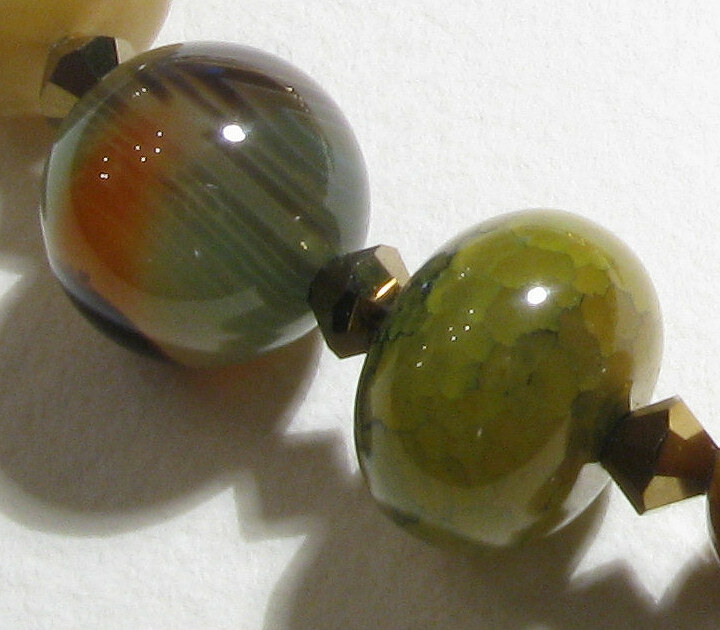 On the left, you can have a detail of the green-striped agate ball and the Swarovski bicones, and also one of the dragon vein rondelles. And, on the right picture, the bicones once again, placed between the jade beads. I stumbled across your blog, and I must say, your necklaces are quite stunning. I emailed your blog page to my wife and she absolutely fell in love with them. Do you ever sell any of your pieces or take commissions? Hi Chris: thank you so much for the lovely comments! I am so glad when people see it and like! Tomorrow I will post another one, glad your wife likes it too! Yes, I do sell them - mostly because I cannot afford to collect them all! Unless I use one different necklace everyday, he he! And I take commissions (orders) too. They are all different, I never repeat design, mostly because the beads are quite unique and, since it's mostly a hobby, I have different ideas and themes every day. If you need any extra info, you can always email me at alm421@irlbrl.com! Thanks for sharing in detail. 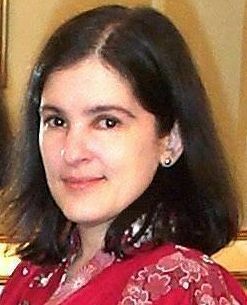 Your blog is an inspiration! Apart of really useful tips, it's just really ! This post will be effectively Just about everything looks good displayed. Australian Pearl Divers, a division of Australian Opal Cutters proud to manufacture jewels and Opal necklaces for the Royal Family.